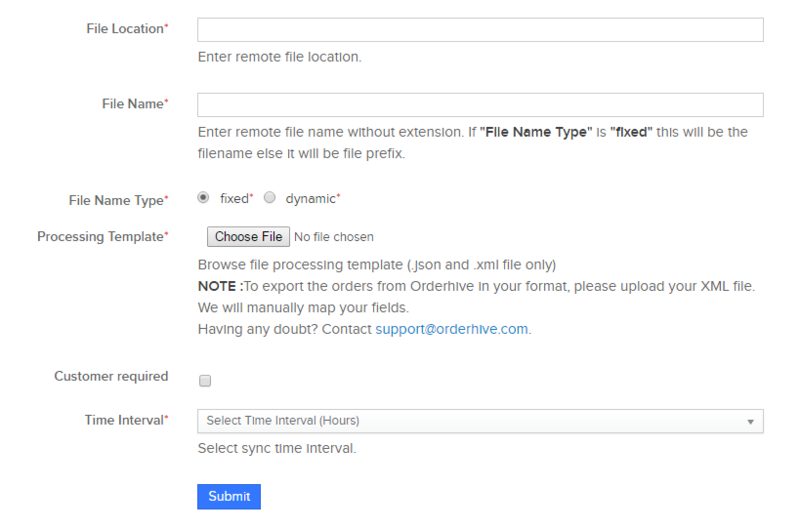 Integrate your FTP Server to export all the confirmed orders at regular intervals from Orderhive using XML. Go to Add Integrations page. 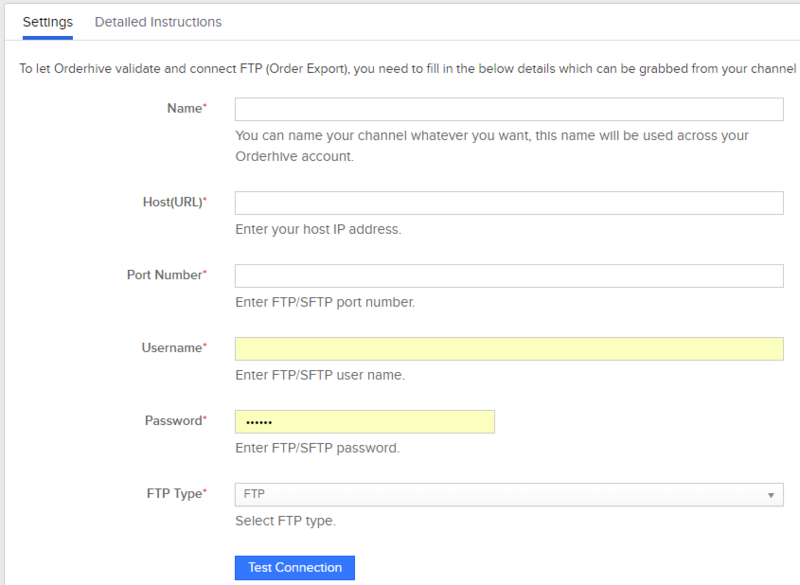 Select FTP from category and go to FTP Order Export. Enter the username and password of FTP server (where the data needs to be transferred). Attach the file processing template. Only .csv and .xml is accepted. If you want the customers to also export along with the sales order, use the checkbox.